The statistic depicts the revenue of the Premier League club Manchester United from 2009 to 2018, broken down by segment. 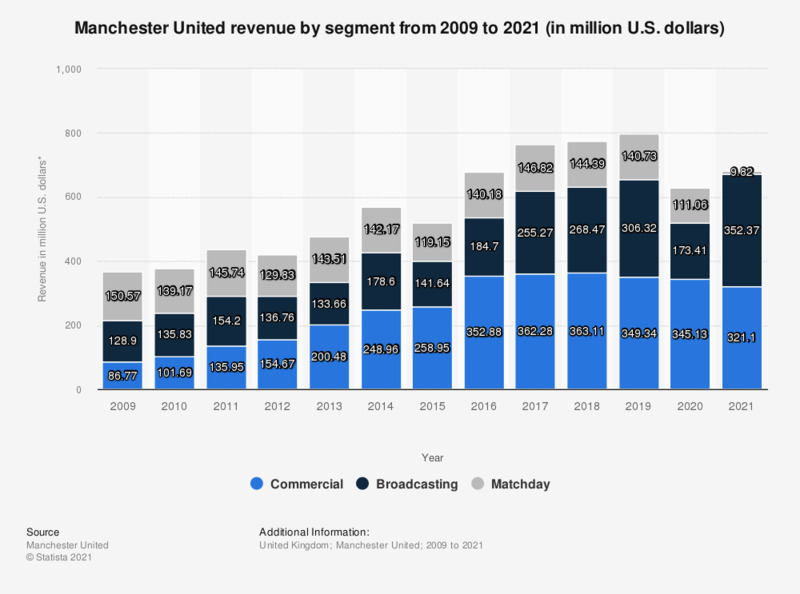 In the fiscal year 2018, Manchester United generated more than 144.39 million U.S. dollars in matchday revenue. * Figures were converted and rounded from GBP to USD using the exchange rate of June 30 of 2018 (1GBP - 1.31515 USD); Fiscal year ends on June 30th of each year.